Return to the poker table with self confidence, knowledge, winning strategies and new found techniques. Randi has a business background as a financial adviser and successful entrepreneur. She moved to Las Vegas in 2005 and began applying her “risk versus reward” analysis skills to poker. 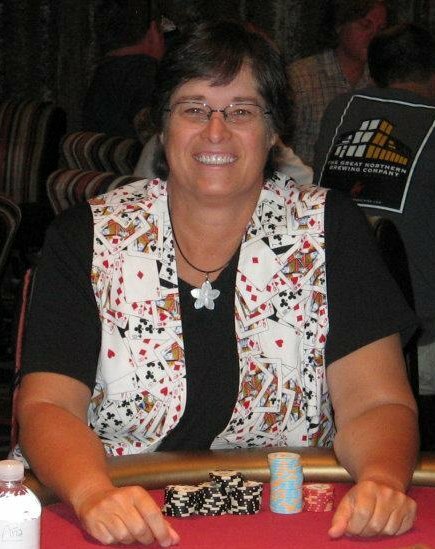 She has been active in several Las Vegas poker discussion groups as a leader and mentor. Randi loves poker and her skills have made her a consistent winner. She plays live poker 4-6 times a week and as well as playing online. She has many final-table cashes. Randi has proven to be an excellent instructor in WPT Boot Camps and has been providing private poker coaching for several years. She has been interviewed on Holdem Radio and in Poker Pro Magazine. CLICK HERE to listen to a podcast focusing on how to make money in small stakes, no limit, Texas Hold’em cash games. Enter your email address to receive notifications of new posts/events by email. I Want To Hear About Upcoming Events - Sign me up!